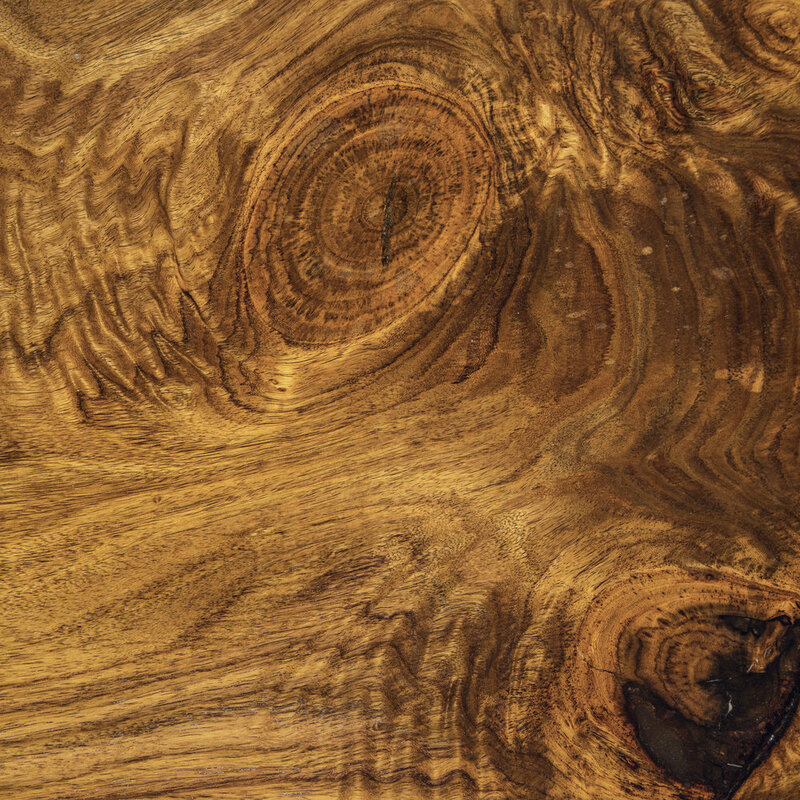 Like fingerprints, no two wood grain patterns are ever identical. This is because each tree grows in its own way and has its own history. This natural variety is the reason we choose to work with genuine solid wood rather than imitation or synthetic products. Each tree has its own character to love. 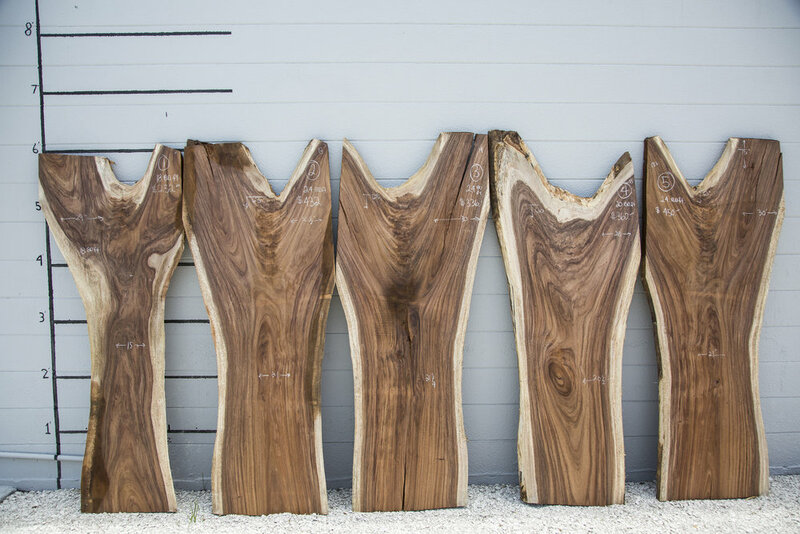 Grain, color, texture, luster, figure, and depth are all aspects of natural wood that we leverage to create unique and spectacular pieces of furniture. Grain is technically the orientation of the plant cells, whether straight, irregular, spiral, etc. Figure is the pattern made by various features including grain, color, growth rings, tracks left by insects, the position of knots, marks of imperfection, and other variations. 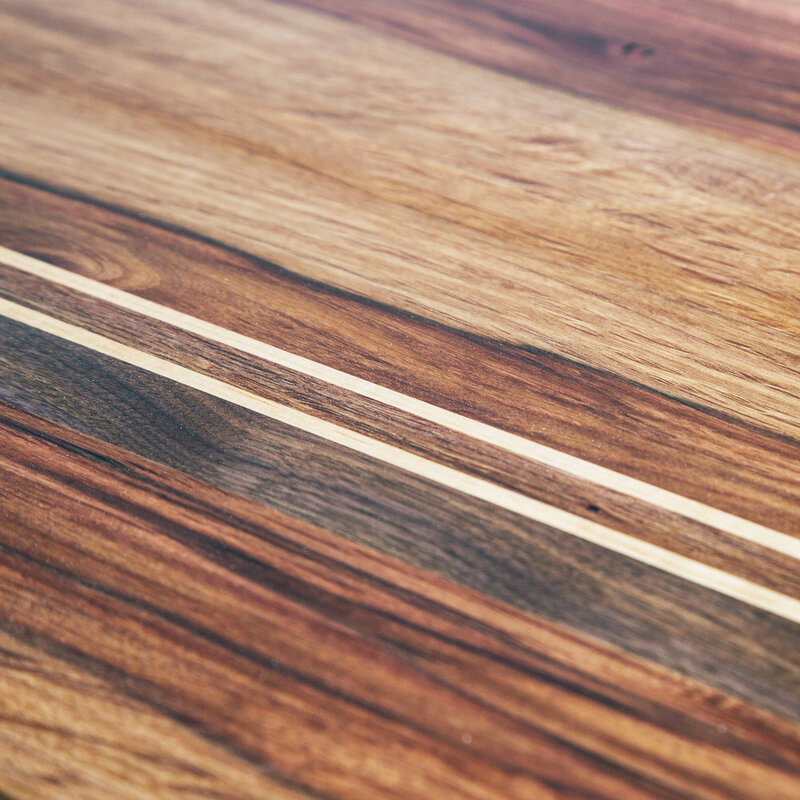 We are proud to offer “book-matched lumber,” which means sequenced boards cut from the same tree. Using this technique, we can grain match an entire room or set of furniture. And, since our facility is equipped to handle very large pieces of wood and projects, we can construct massive tables of two mirroring pieces of lumber. 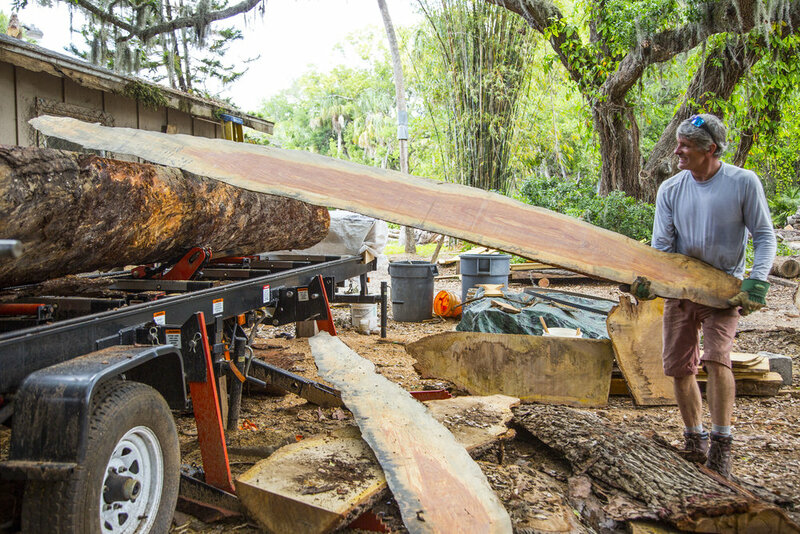 This is a rare offering, as most lumber yards don’t stock slabs from the same tree, let alone a sequential set. 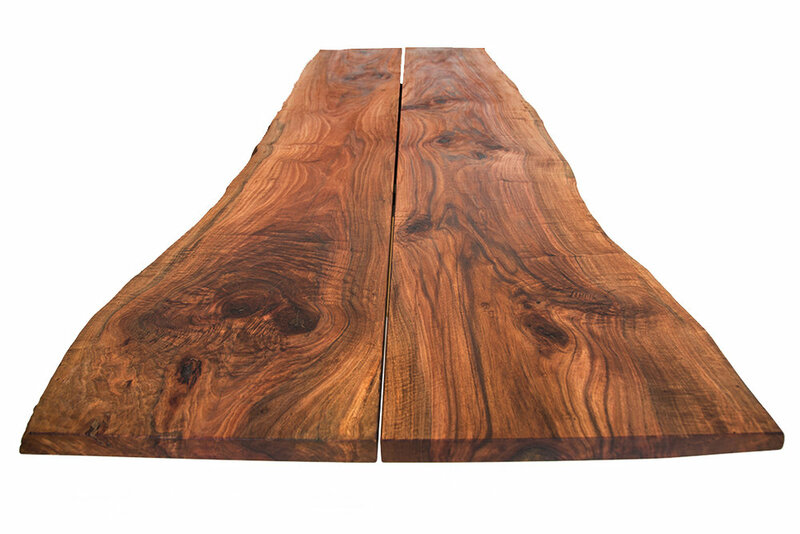 We love the warm and tactile appeal of wood. 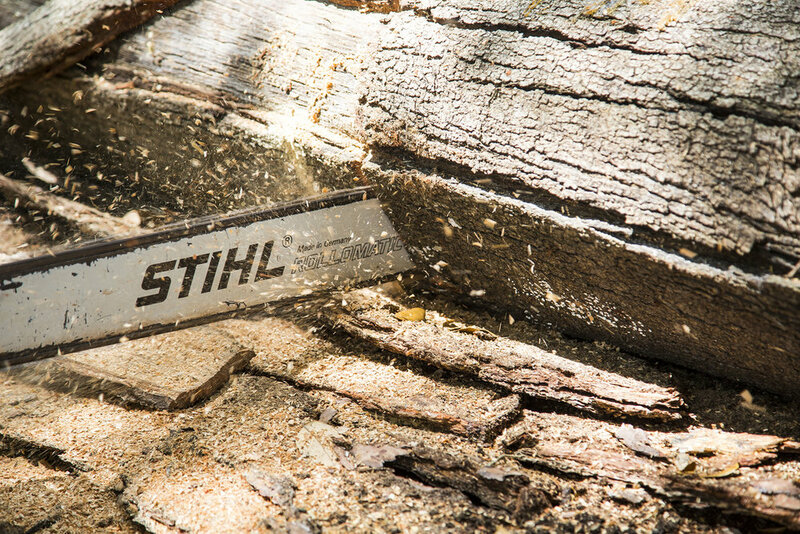 Most of our woods are locally sourced in Sarasota, Florida. Even after 30 years in the industry, Dale is still discovering new, rare, tropical species here. He produces some of his favorite signature pieces from these exciting finds.